All-Plastics, a Texas manufacturer known for high precision injection molding recently purchased a large format 3D printer from Northworks with an open platform to process all types of 3D materials. Some of the most common materials the machine supports include PLA, ABS, ASA, PETG, Nylon, Acrylic, Carbon Fiber infused Nylon and ULTEM. The machine supports printing all performance materials up to 400°C and new print profiles can be created for every type of suitable material. The machine was designed for lights out production running 24×7 and can produce small to large parts. 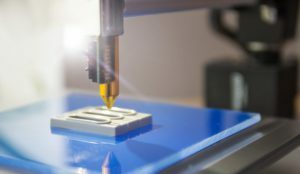 The printer can manufacture objects from the smallest feature size of 25 microns up to 12 cubic foot (2’x2’x3’) which allows for flexibility in part shapes and sizes. The machine provides a 50 micron print resolution and a modular print head that auto recalibrates to 5 microns for accuracy and consistency.